Lives would have been saved if adequate heat-health warning services (HHWS) had been activated in Europe in 2003, as promoted by the WMO/WHO/UNEP showcase projects in Rome and Shanghai. Such systems are based on biometeorological forecasts (Fig. 2.8) expecting exceeding of an agreed threshold (heat load forecast). The following interventions (based on a locally adjusted emergency response plan) are the responsibility of public health services PHS. HHWSs must be prepared in advance with complete descriptions of all processes and clear definition of the interface between NMHS and PHS (Koppe et al. 2004; WMO 2004; Kovats and Jendritzky 2006; EPA 2006; WMO 2007) (see also Chapter 3). 1. The Public Health Issue. The most important module is a locally adjusted disaster preparedness (emergency response) plan based on a specific mitigation strategy. This plan becomes active whenever a heat load event is expected. The scopes concerned, intervention measures, and responsible agencies, decision-makers, stakeholders, and other people etc. must be defined. The experience with existing approaches to implement HHWSs shows clearly that the development of an appropriate intervention strategy that takes into consideration local needs, such as political and urban infrastructure, is the most difficult step. 2. 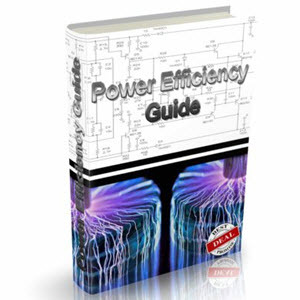 What is Heat Load? Hampering heat exchange from the human body to the atmosphere produces strain for the organism. People with limited adaptive capacity, i.e. people who are not fit, can die from manifold causes but the failure of thermoregulation is always implicated. So there is a need for a health related definition of thermal environmental stress that is thermo physiologically significant. The forecast for extreme heat load must be based on routine procedures of National Meteorological Services (NMSs) considering the situation of the next few days. 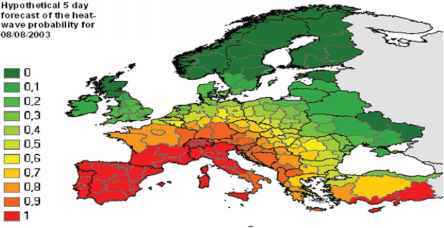 Figure 2.8 shows a hypothetical 5 day forecast of heat load for Europe already demand-oriented to administrative borders. The forecast was based on the ensemble prediction system EPS of the European Centre for Medium Range Weather Forecast (ECMWF) which is capable of issuing probabilistic forecasts of up to 15 days lead-time. The public health authorities are responsible to define the kind of emergency information they want considering heat load intensity and time schedule. Correlation studies between the biometeorological indices and population health data (mortality/morbidity) are reasonable for calibrations, i.e. to define specific thresholds, but it should be noted that this "fine tuning" is only valid for the area under investigation. Frequently the paucity of health data, lack of expertise and resources are insurmountable obstacles. Scientifically it would be satisfactory to have reliable epidemiological results; however, from a practical point of view there is no urgent need (just "nice to have"). Whenever a heat wave occurs running a functioning HHWS is more important than the attempt to be perfect in any detail. WMO/WHO/UNEP Showcase Projects, and the outcomes of the WHO coordinated European projects cCASHh, PHEWE, and EuroHEAT are the best exemplars of the value of this approach. For a more comprehensive consideration of HHWSs see Chapter 3. The climates of cities present some of the most impressive examples of anthropogenic climate modification resulting from intentional or accidental changes in land-use. When looking for the thermal environment issue in the urban climate and human health field, the urban heat island (UHI) is the essential subject of anticipatory (or proactive) adaptation/mitigation measures both in short term and long term time-scales. Unfortunately till now the term UHI is based just on air temperature (actually on the difference between inner-city and rural temperatures) and not on the complex controls of the human body's heat balance. 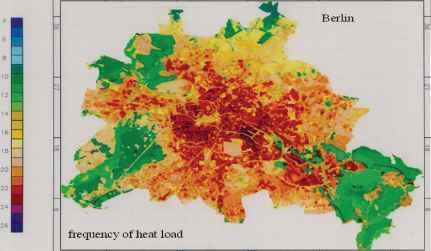 There is no doubt that the urban heat island is relevant for human health. It causes adverse health effects from exposure to extreme thermal conditions. The urban heat island has an added effect on heat wave intensity, which may exacerbate the impact of weather on heat-related mortality. As the urban heat island is the result of urban density, form and materials, it is correspondingly also sensitive to future urban planning. But in spite of the impressive depth in knowledge about urban climate there is unfortunately still a need to bridge the gap between science and application at the relevant time scales. In the short term time scale HHWS intervention strategies are useful tools for mitigating adverse effects due to heat waves. In long term time scales there is a need to create urban development standards, to make existing knowledge accessible and intelligible, and to develop practical tools for urban planning. That support urban planners to reach their fundamental aim: creating and safeguarding of healthy environmental conditions for residence and work. The global warming problem increases the urgency of this prescription. 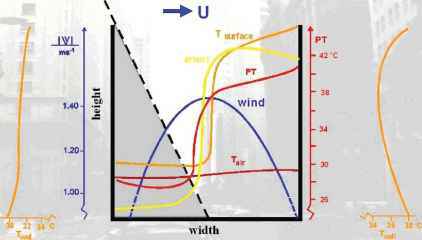 From a biometeorological point of view the atmospheric fields determining the thermal environment are significant in the urban canopy layer (Fig. 2.9), i.e. the settlement structure (including its interactions) as the result of planned or free development (Oke 1987; Ali-Toudert and Mayer 2005). While the air temperature shows almost no difference between the shaded and the sunny side of the street, the fully-developed heat-balance index, PT, clearly differentiates the two situations on thermo physiologically significant criteria. When wind is calm direct sun exposure affects the heat budget of the human being as an increase of air temperature of about 12 K.
demanding and need users with professional skill. For practical applications in urban planning the [/rban Bio-climate Model. UBIKLIM (Graetz et al. 1992; Friedrich et al. 2001) was developed as an expert system that utilizes available knowledge in urban climate science in an objective procedure. Using GIS-techniques UBIKLIM simulates the thermal environment in the urban boundary layer at a given location in an urban area that depends on the kind of land use, i.e. the settlement structure (these are the planning variables to be transformed into boundary layer parameters). Interactions between neighbouring structures, topography (local scale), and meso- and macro-scale climate are taken into account. The example in Fig. 2.10 shows an urban area with a differentiated pattern of probabilities of the occurrence of heat load (in terms of Perceived Temperature, not of air temperature) resulting from different land uses (settlement structures). Fig. 2.10 The frequency of heat load conditions in days per year in Berlin, Germany based on UBIKLIM-simulations in 10 m grids distinction between indoor and outdoor settings is one of extremes. Indoor climates are, in the vast majority of cases, best described as moderate thermal environments, whereas outdoor microclimates span a much wider range, in the spatial sense, but also temporally across all scales, from diurnal, through synoptic, and up to seasonal. The fact that indoor climates account for a substantial component of energy end-use, and therefore greenhouse gas emissions, recently led the Intergovernmental Panel on Climate Change to identify the buildings sector as affording the highest likelihood of deep reductions in greenhouse gas reductions of all sectors looked at in the IPCC Fourth Assessment Report (Levine et al. 2007). That optimism, however, was based on gradual improvements in the energy efficiency of building envelopes and Heating, Ventilation and Air-Conditioning plant (HVAC). Although the potential of human thermal adaptation to indoor climate was recognised as highly relevant to energy savings, the IPCC focused its attention on market transformation that didn't rely on adjustments to life styles or comfort levels. Nevertheless, it is becoming clear that simply shifting building thermostat settings just a few degrees away from static targets like 23°C, without expensive retrofits of efficiency measures to plant or building envelope can effect a profound saving of energy and greenhouse gas emissions. For example, Ward and White (2007) measured a 14% reduction in HVAC energy consumption on identical summer days, just by shifting the set-point in a conventionally air-conditioned office building in Melbourne just one degree higher from the building's previous 22°C target. 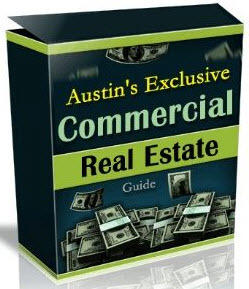 With HVAC energy typically accounting for up to 40% or 50% of total building energy end-use, the need to shift the comfort expectations of building occupants away from static HVAC set-points is becoming compelling, because it is an efficiency measure that is readily and immediately applicable across much of the existing building stock, not just new construction and refurbishments. Shifting indoor comfort expectations is going to rely on human thermal adaptation. The so-called adaptive model of thermal comfort is premised on the widely reported relationship between the indoor temperature at which building occupants express thermal comfort, and the mean indoor temperature to which they have been exposed over periods ranging from a week to a month (Humphreys 1981; Auliciems 1981, 1986; Nicol and Humphreys 2002; De Dear and Brager 1998). If indoor temperatures are held constant, detached from the diurnal, synoptic and seasonal drifts outdoors, then indoor comfort temperatures will also remain fixed as well. However, in un-air conditioned or free-running buildings, especially with user-operable windows, comfort temperatures have been noted to be highly correlated with the outdoor climatic environment. to outdoor climate shown by occupants of centrally air-conditioned buildings (left panel in Fig. 2.11) is driven largely by adjustments to clothing insulation, and is well predicted by the PMV heat balance comfort model. However, occupants of naturally ventilated or free-running buildings (right-hand panel in Fig. 2.11) adapted to a much wider range of comfort temperatures than could be predicted by heat-balance parameters alone. The divergence between observed and PMV-predicted comfort in the right-hand panel was ascribed to shifting comfort expectations (De Dear and Brager 1998, 2002). The indoor temperature regimes prevailing in free-running buildings are themselves more closely correlated with outdoor weather and climate than in the central-HVAC buildings, therefore the indoor temperatures which free-running building occupants come to expect are more closely correlated with outdoor temperatures too. This psychological dimension of comfort, expectation, is not one of the classic human heat-balance parameters (Eq. (2.1) ), but it probably holds at least as much promise for carbon reductions in the buildings sector as do energy efficiency improvements in building envelope and HVAC plant - as long as building occupants are provided with adequate adaptive opportunity, especially by means of operable windows (Brager et al. 2004). Having made its way into the 2004 revision of ASHRAE's comfort standard 55 "Thermal environmental conditions for human occupancy" (ASHRAE 2004), de Dear and Brager's adaptive comfort model (1998) is already being taken up in the design of new buildings. A recent example is the new Federal Building in San Francisco (McConahey et al. 2002), which features a natural ventilation façade, the first of its kind in an office building on the US west coast since the advent of air conditioning in the first half of the twentieth century. However, the question of how long it will take for occupants to adapt to variable indoor temperatures after they have been acclimatised to static HVAC indoor climates, remains yet to be answered.